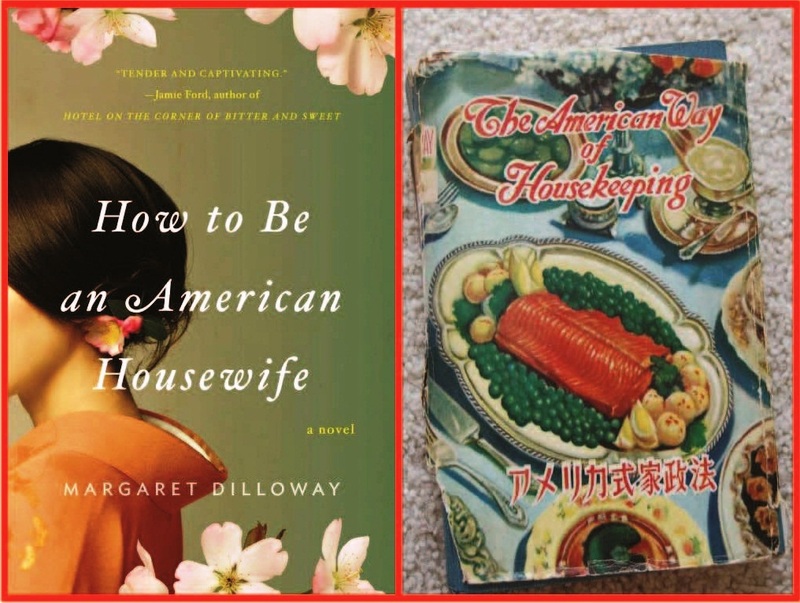 One of my book clubs celebrated Margaret Dilloway’s funny and poignant novel How to Be An American Housewife this week—and we had so much to discuss! American Housewives? 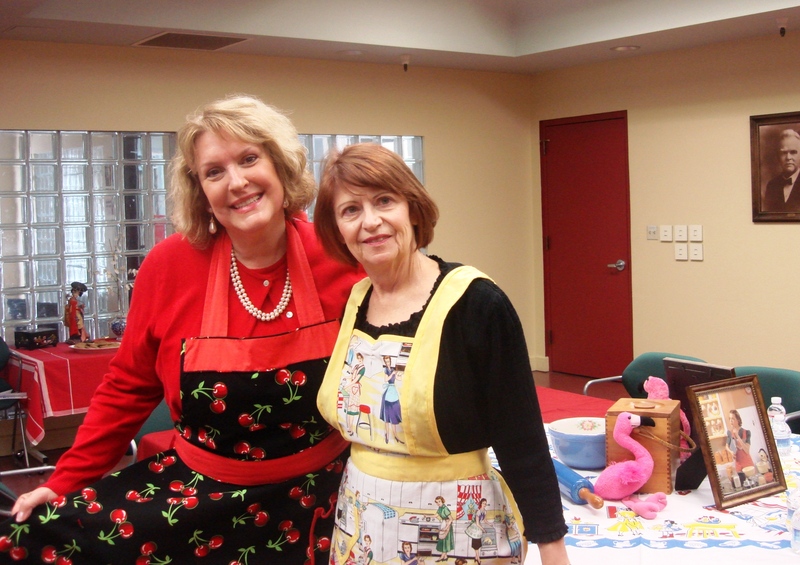 First, I need to share the picture of my partner-in-book-club-crime, Kay Hodges, and myself pretending to be 1950’s “American Housewives.” Pretty good for two women who can’t cook! Game Directions: First each book club member spends a few minutes completing as much of their Bingo card as they can on their own. Then they’re invited to circulate among their fellow book club members, giving (only) one answer and getting (only) one answer, before moving on to the next person. The person who either completes their sheet first, or completes the most boxes wins your fabulous prize. Fabulous Prize: Our winner received a wooden country-styled red, white and blue heart with the word “America” stenciled in the center to commemorate what a great “American Housewife” she was. You might consider using some fun polka dot gloves—or a cute apron as well. Inspiration Book: As a fun treat, I also brought the book The American Way of Housekeeping, which I picked up after reading Margaret’s informative blog on the topic. I marked several of the passages the author referred to in her riff, and passed around the picture of the original book jacket—which was not included in my 1959 vintage book purchase. I also photocopied the Seattle Times article that Margaret referred to and we discussed the concept of having such a book as a resource as a culture-shocked war bride. Discussion Questions: Unlike many books we discuss, How to Be An American Housewife had a great reading group guide and it generated so much discussion, that we actually did not get through them all. I highly recommend this book—and of course the game—for your book club!